Pumpkin is one of the top ingredients to have in the fall season. Not only is it delicious and seasonal, but it is also low-fat and provides many great health benefits. Consider some of these benefits of enjoying pumpkin throughout the fall season. First of all, pumpkin is a very low-fat and low-calorie food that is easy to add to your daily diet regimen. Whether you are trying to eat less carbs or lower calories, pumpkin is a great option. In fact, it is often used as a substitute in cakes and cupcake recipes because it contains excellent nutrition but less fat than some of the other ingredients in these sweet treats. In addition to being low in fat, pumpkin is also high in fiber, making your food easier to digest throughout the day. Pumpkin also happens to be a good food if you suffer from high blood pressure. This is a good food if you tend to have high blood pressure and are looking for a natural way to reduce it. In the pumpkin seeds is a type of oil that contains phytoestrogens. These have been shown to help with high blood pressure, also called hypertension. 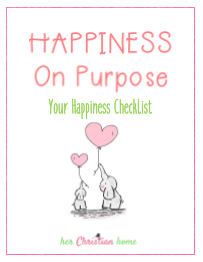 This can help both your diastolic and systolic blood pressure. As an added bonus, pumpkin helps with high cholesterol levels as well. A unique benefit of eating pumpkin that many people don’t know about is that it can help improve your vision. Pumpkin is an excellent source of vitamin A, which is known to help which proper vision. It can also help to slow the progression of vision-related conditions, including degenerative eye diseases. Vitamin A also helps in many other ways, from giving you stronger bones, to offering healthy skin and hair. For enough vitamin A from pumpkin to improve your vision, you should aim for about a cup of pumpkin a day. Do you have insomnia or a fatigue condition? If so, give pumpkin a try! This yummy and seasonal vegetable also has an amino acid called tryptophan. This nutrient helps to reduce fatigue, especially during the holiday season when you tend to overeat, such as on Thanksgiving. Have some pumpkin seeds or a slice of low-fat pumpkin pie after your Thanksgiving meal, and you won’t be quite as tired. Pumpkin can also help to boost your mood, which is a nice added benefit of eating it. When the fall season arrives, having recipes with pumpkin is often requested. If you want to use your own pumpkin puree instead of buying it in the can, then you first need to roast your pumpkin. 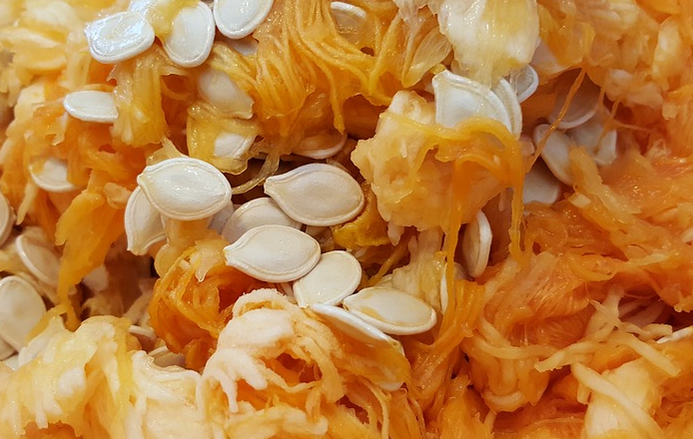 These tips help with roasting the pumpkin and the seeds. Roasting a pumpkin is actually really easy to do, even though it might seem a little intimidating in the beginning. To roast a pumpkin, all you need is some cooking oil and basic tools like a heavy baking sheet, cutting board, knife, and parchment paper. 2. Remove the stem from the pumpkin. 3. Cut the pumpkin in half and remove the seeds and innards. 4. Cut the two halves once more so you have four pieces of pumpkin. 5. Put the pumpkin on a parchment-lined baking sheet and brush the flesh with oil. 6. Bake the pumpkin for 40 minutes or until tender. 7. Remove the skin, then blend the roasted pumpkin in a food processor to create puree. When you were getting the pumpkin ready for roasting, you removed the seeds and innards. Get out a colander and put all of the seeds and innards into the colander, then rinse with water. As you do this, it will be easier to start pulling the innards away and disposing of them. 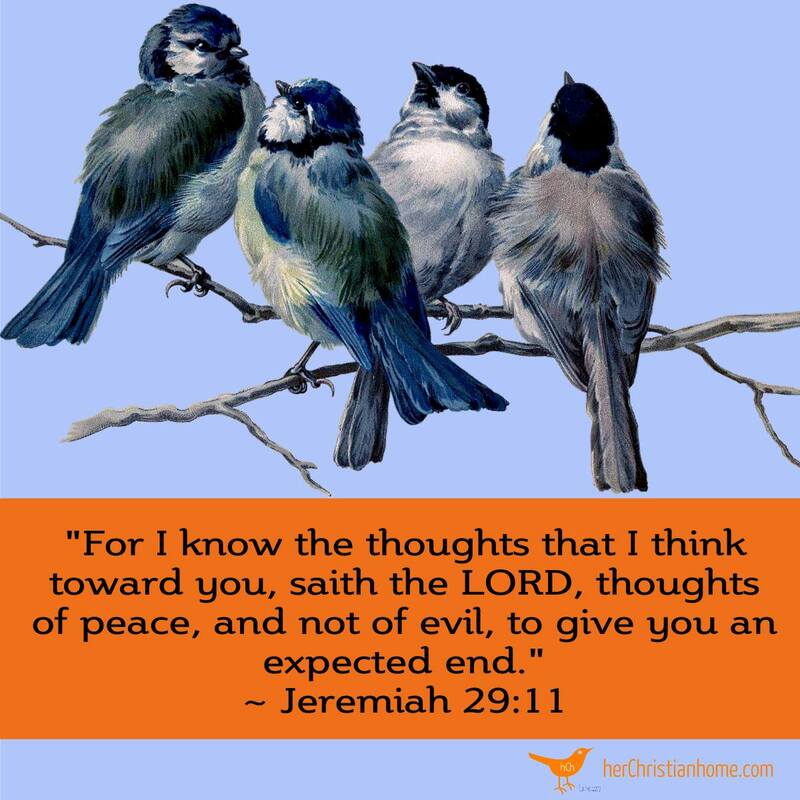 Once just seeds are in the colander, continue rinsing them. If the oven is still on from roasting your pumpkin, reduce the temperature to 300 degrees Fahrenheit. Put your pumpkin seeds in a bowl and add a sprinkle of oil on top. This will let the seasonings stick to them. Sprinkle any seasonings you like, such as sea salt, salt and pepper, or even garlic salt. Spread them on a baking sheet in a single layer and poop them in the oven. Bake for about 45 minutes or until golden brown. Pumpkin has a variety of health benefits, including omega-3 fats, improving prostate health and gut health, including zinc and magnesium, and being great for post-menopause and liver health. Making pumpkin pancakes is super easy with this recipe from AllRecipes.com. All you need to do is mix the ingredients in a bowl, including canned pumpkin, milk, egg, and oil. Some dry ingredients include baking soda, baking powder, flour, and sugar. You will also need pumpkin spices like cinnamon and ginger. The pancakes themselves are cooked similar to other pancakes. Another breakfast recipe using pumpkin is this French toast bake from MinimimalistBaker.com. Instead of making French toast the traditional way, you will add the ingredients into a pan and bake it for about 40 minutes. This makes it easier to put together and doesnt require you to spend a lot of time in front of the stove. Some ingredients used include pumpkin butter and pumpkin pie space, nuts, brown sugar, bread, and eggs. If you want to make pumpkin treats for Halloween or the fall season, consider making some cookies. Pumpkin cookies are great because they are actually quite healthy and low in fat, while also being delicious. These cookies are provided by Amy’s Healthy Baking, and are made with pumpkin puree, cinnamon, nutmeg, whole wheat flour, and instant oats. Biscuits are great for many different meals and snacks, from a nice breakfast to being a side dish at lunch or dinner. With this recipe from AllRecipes.com, you can use pumpkin, flour, brown sugar, spices, and some other ingredients to make a quick batch of seasonal pumpkin spiced biscuits that are lower in fat than the standard buttery version. Believe it or not, you can make a healthy and yummy hummus by using pumpkin! Instead of canned pumpkin, it is recommended that you use fresh pumpkin for this recipe. You also will add ingredients like olive oil, cumin, garbanzo beans, maple syrup, and spices for the pumpkin-flavored hummus. You can also add some pumpkin seeds to the top for decoration and added flavor. This recipe is provided to you by DaringGourmet.com. 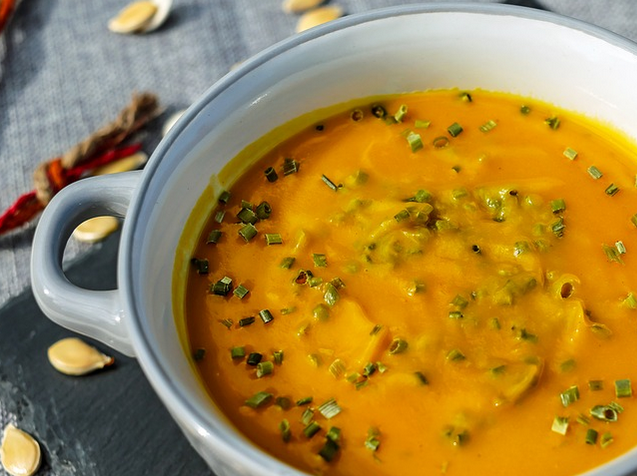 Why not try some hearty and warm pumpkin soup on a chilly fall evening? This Minimalist Baker recipe calls for fresh pumpkin slices, maple syrup, coconut milk, vegetable stock, and seasonings. The longest part of this soup making process is roasting the pumpkin, then the rest is quick and easy. One good option is to have a healthy pumpkin pie smoothie. This includes a seasonal flavor of pumpkin and seasonings, while you can use the smoothie as a meal replacement, snack, or even healthy and low-fat dessert. 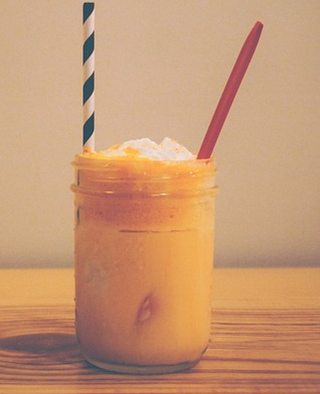 Here are some tips for making a pumpkin pie smoothie. To start with, the smoothie base is going to be similar to any other smoothie you make. If you are adding ice, you can use fresh and ripe bananas. However, if you dont want to add ice to the smoothie, go ahead and use frozen bananas instead. You then want to choose your main dairy components, including milk and yogurt. If you are a vegan, you can go with a yogurt substitute and use almond or soy milk instead of regular milk. Greek yogurt is a good option for a pumpkin pie smoothie since it is healthy and adds a nice vanilla flavor. Sweeten it up with either maple syrup or honey. Once you have your basic smoothie base, you then want to add in your pumpkin and other seasonings. 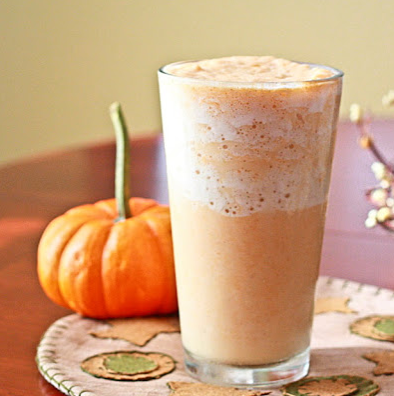 For a pumpkin pie smoothie, it is highly recommended that you make your own fresh pumpkin puree. You can do this by first roasting your pumpkin to soften it up, then cut it into pieces and put it in a food processor to make a puree. If you cant do this, you can also used canned pumpkin. For the spices, just using pumpkin pie spice should be good enough, but you might also want to add some ground cinnamon as well. Vanilla extract is often added for another bit of flavoring for a nice pumpkin pie smoothie. For a pumpkin pie smoothie, try to use a high quality blender. This will help you to really break up those ingredients without any fuss. 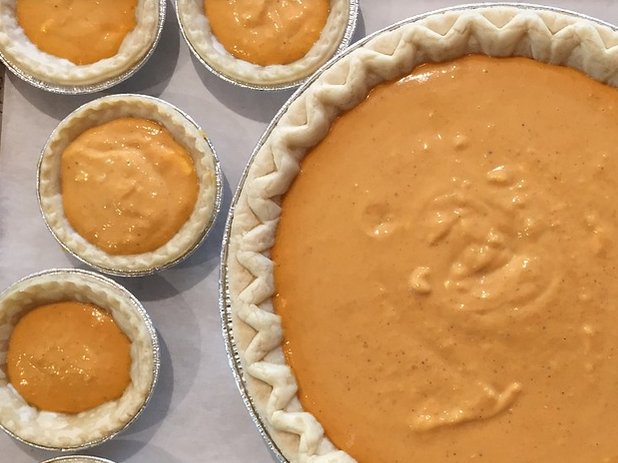 Getting your proportions right for a pumpkin pie smoothie is really important. You should add the thicker ingredients to the bottom of the blender and end with your liquid ingredients. Blend until smooth, adding more liquid as needed to get the blender to pulsate properly. You might also want to give it a taste before you pour it into glasses so you know if another sweetener or more pumpkin pie seasoning and cinnamon is needed. If you like the taste of pumpkin pie, but are looking for a healthier way to enjoy it, why not give a pumpkin pie smoothie a try? This is really easy to make with many of the same ingredients that would go in a pie, except for a few variations. You can really use any ingredients you want, as long as you are adding some canned pumpkin and pumpkin spice to your smoothie. If you like more of a milky smoothie, go for regular milk or vanilla almond milk as an additive. If you like a thicker smoothie, add some peanut butter and granola to the blender. You can also add a frozen banana in lieu of ice for a creamier texture. When you are done blending, just top it with some cinnamon. Another way to enjoy a pumpkin smoothie is by having it with chocolate. This is the perfect dessert smoothie or to enjoy on days when you just want something a little sweeter. Combine with canned pumpkin or your own pumpkin puree with milk, yogurt, ice, and cocoa powder. You can make it even richer with a handful of chocolate chips as well. Blend well and top it with some low-fat whipped cream. Pumpkin can also be combined with other fall fruits and veggies for a seasonal smoothie to enjoy for breakfast, such as apple. Pumpkin and apple combined makes you think you are drinking fall each time you have this smoothie. Like other pumpkin smoothies, you want to start with a base of pumpkin puree. You can then add some cubed apples, preferably roasted, and ground cinnamon. Add either milk or yogurt, along with ice and rolled oats. Blend it together, adding more seasonings if you like. 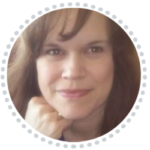 *NOTE: Further down in my post, you’ll find some featured “low carb pumpkin recipes”. 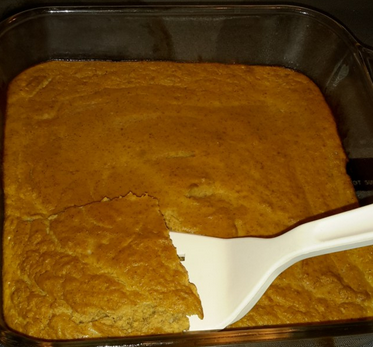 This healthy pumpkin dessert is provided by Eating Well. This simple recipe use basic ingredients for cake, including flour, baking soda, baking powder, and salt. The seasonings are ground cinnamon and allspice to give it that seasonal flavor and it uses egg whites instead of regular eggs. You will also add pumpkin puree to the cake. You can get rid of that fattening crust altogether with this Chocolate Covered Katie recipe. It provides a simple method for having the same pumpkin pie you love without the crust you don’t really need. However, it does have a crust bottom to keep the pie together. Depending on the ingredients you use, you can even make them to be gluten-free. Pureed pumpkin, pumpkin pie space, and cinnamon add the pumpkin flavor. You can use oat flour instead of white flour if you like, and you can always use xylitol or stevia instead of brown sugar. Make it even better for you by adding some ground flax. Eating well has another delicious pumpkin dessert with the spiced pumpkin cookies. 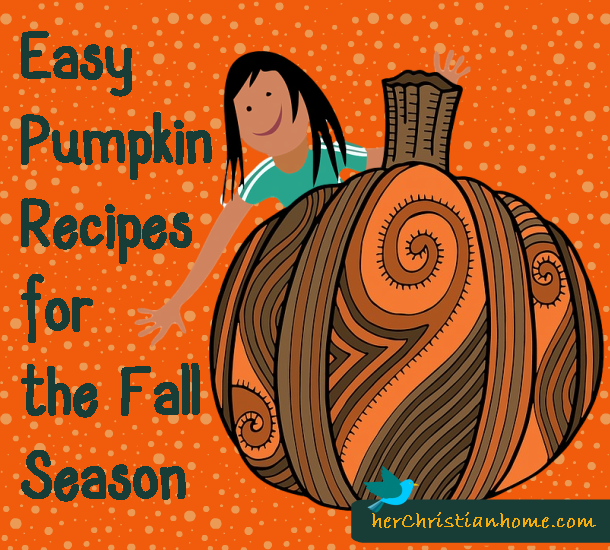 Basic ingredients like pumpkin, all spice, ginger, and molasses are used. Instead of the traditional cheesecake crust, you will have one made of walnuts and gingersnaps, which are much better than the buttery graham cracker cheesecake crust. Instead of regular cream cheese, you will use non-fat cottage cheese. 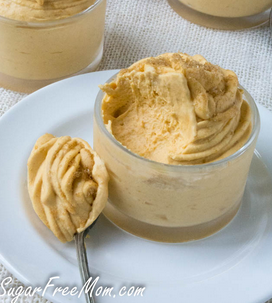 Low Carb Pumpkin Cheesecake Mousse is a pumpkin and low carb lovers dream! ← What Sins Are You Talking About?